(This post is part of our ongoing attempt to “live-blog” our participation in community-based history in South El Monte and El Monte. For an overview of this effort, click here, and for our first dispatch, click here). If you’re still feeling it on Wednesday morning, it was probably a heckuva weekend. I’m sitting in the El Monte Public Library, where I’m only just beginning to process the whirlwind of community history that took place here and in South El Monte on Saturday and Sunday. The weekend consisted of two events organized by the South El Monte Arts Posse (SEMAP): “City of Achievement,” which focused on the city of South El Monte and was hosted by the city’s Senior Center, and “Barrios of El Monte,” hosted by La Historia Society and documenting migration and life in El Monte’s barrios (and later, in the city and its neighborhoods). 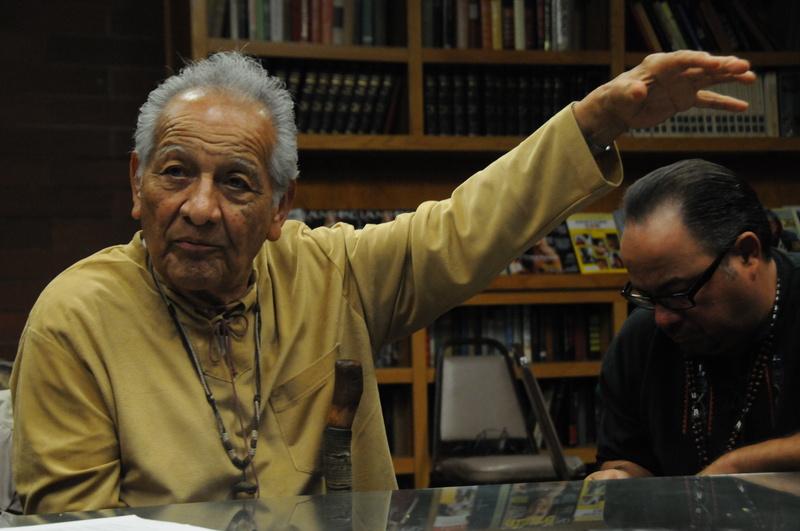 Each event consisted of walk-in oral histories and document digitization, the sharing of materials collected by SEMAP (including rare footage of community and youth programs in South El Monte on 16mm film), presentations by SEMAP and Columbia grad students, and community conversations about the past, present and future of these communities. We wrote a post describing these events and our goals for them within the larger project for KCET (where SEMAP writes a column, “East of East”). Community history brings people together. Any reflection on this weekend has to start with a big, BIG thank you to everyone who came out and shared their stories. The range of stories we heard was remarkable, and so were the ways these storytellers shared with us and one another. 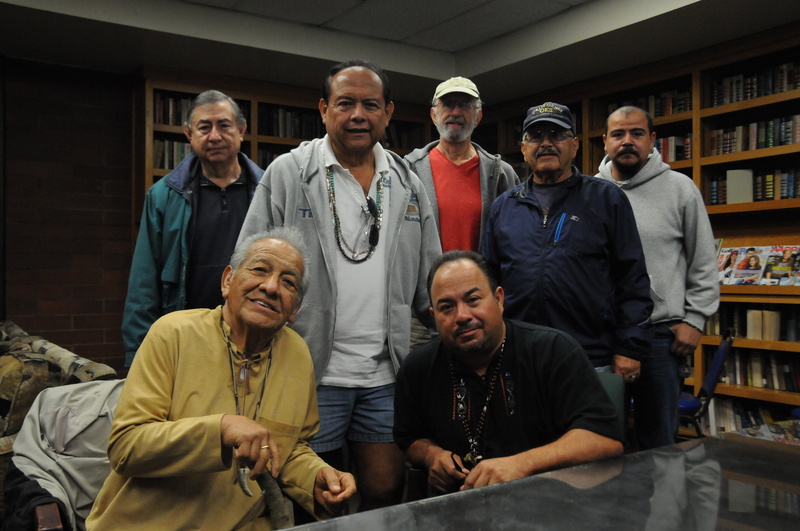 One group interview brought together seven folks, ranging from the octogenarian chief of the Kizh/Gabrieliño people to a recent graduate of South El Monte High School to discuss land, colonization, property, and resistance over four centuries. At Saturday’s discussion, Youth Voices participants presented causes and community elders shared experiences that could help these students build on them. 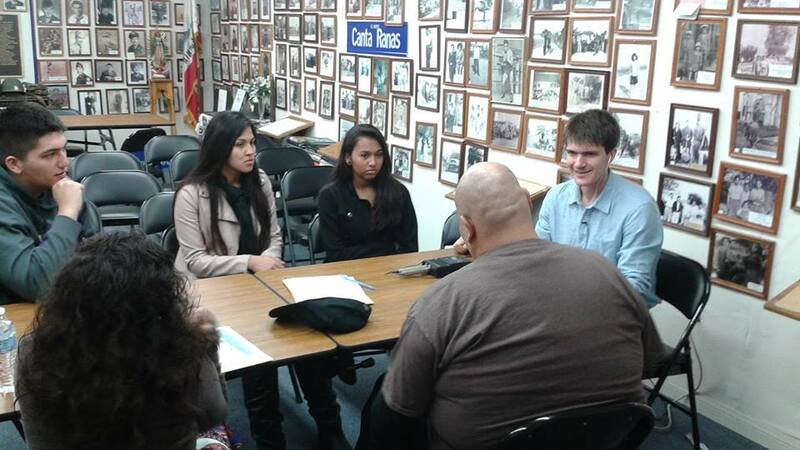 On Sunday, one La Historia volunteer sat down for an impromptu oral history workshop with students from Mountain View High School (and myself) that evolved into one of the most heartfelt and moving coming-of-age stories I’ve ever had the privilege of recording. Another interviewee was joined by his son and son’s girlfriend, who listened intently as he related his own youth in El Monte. Residents shared deeply and openly with one another across generations, and put these insights to work in thinking about present challenges and future goals. I don’t think anyone who witnessed even a fraction of these events could question the value of “public history” ever again. Even famous places have many pasts. 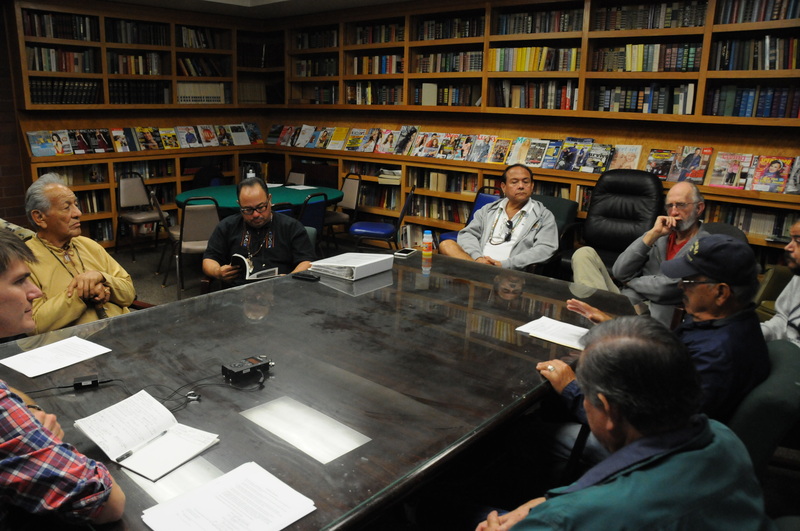 SEMAP’s practice puts place at the center of inquiries about history, memory, and community life, which means we ask frequently about place in our oral history sessions. The number one site mentioned? That would be El Monte Legion Stadium, of course, home of early rock and roll in Los Angeles, as made famous by Art Laboe and the hit parade that crossed the stadium’s stage (and as written about by Matt Garcia and SEMAP essayist Jude Webre). And yes, absolutely, people remembered that incredible era. But they also remembered a huge range of other events, from country-western dances and concerts from artists like Tennessee Ernie Ford in the 1940s and 1950s (catering to the “Okies” who’d come from the land of banjos and bluegrass to California during the Depression) to Lucha Libre in the 1970s. Several narrators recalled watching the local roller derby girls slug it out, while others remembered big, traditional Mexican weddings filling the floor. Legion Stadium is one of the few places in El Monte that historians think we know, but as the weekend revealed, oral history and community history are always adding more complexity to our stories. Traditions of multi-ethnic solidarity and resistance run deep. We heard many, many stories of racism, segregation, expropriation, and violence in the course of our two days, and it would be wrong to suggest that residents of these cities have lived in perfect harmony. At the same time, we heard fascinating stories of solidarity and resistance that suggest the “multiethnic, metropolitan history and placemaking” excavated over the last several decades by Wendy Cheng has a long history in South El Monte and El Monte. Particularly interesting (to me) were the stories of Japanese internment that emerged. An eighty-year old Anglo-American resident remembered his father’s opposition to internment and efforts to help local Japanese farmers preserve their farms. Perhaps even more remarkably, we heard stories of two separate Mexican-American families who took it upon themselves to care for and preserve the ranches and businesses where they had labored when their Japanese-American owners were interned, in both cases saving the properties from foreclosure and returning them to their owners after the war. These stories build on the work that Andre Deckrow has done for SEMAP and KCET, and suggest that class alone was not determinative of conflict when it came to resisting racism in the San Gabriel Valley. Everybody has a history. Several narrators started their pitches with some variant of “I don’t have much to say” and closed by saying something to the effect of “thanks for letting me take up your time.” I kept explaining (and was glad to) that we were the beneficiaries, and thanking them for their time and generosity. History can feel abstract and distant, the province of textbooks and “great men,” but once our narrators got rolling, they proved that history resides everywhere. As a personal aside, interviewing educators is a particular joy (I’m a historian of education): their pedagogical experience allows them to move easily between personal anecdote and reflective, in-the-moment analysis, and their description of the evolution in schooling in these communities is invaluable for understanding the changing face of opportunity and exclusion in the twentieth century. “Pain and Pride” are a potent combination in the past, present, and future. 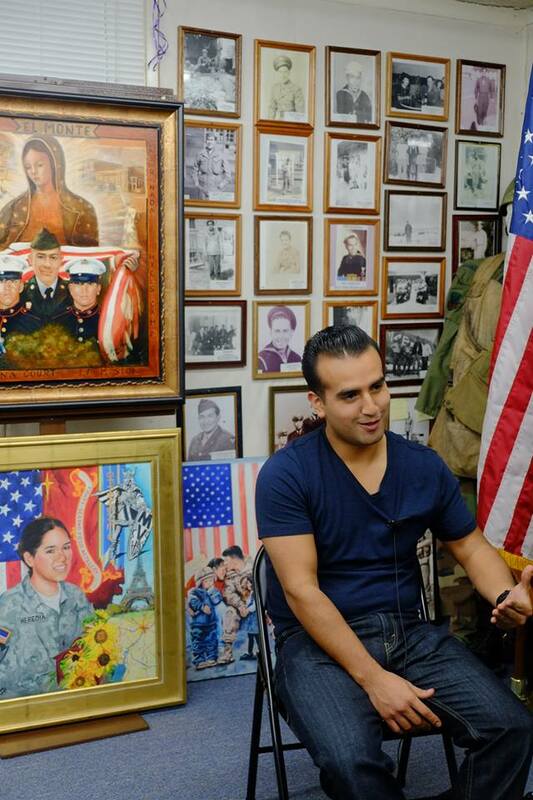 One narrator, in an early email communication, told me that there was “so much pain and yet pride” in his life in El Monte. After doing 10 oral histories over two days, his meaning is so much clearer. Growing up in a working-class community was tough: dreams deferred and losses incurred were very real in these oral histories (more than one narrator choked up, and it was all I could do, at points, to keep it together). And yet, as one longtime resident told us, growing up here gave her an “inner strength” that she was thankful for, and that many other residents echoed. They expressed a real love for these places; as one long-haul trucker told me, “everywhere you go, you find somebody who’s heard of El Monte.” More than one educator explained that they had returned to the community of their youth to give back, and capturing not just their stories but that spirit was one of the most exciting parts of the weekend, one that bodes well not just for “history in action,” but for the future.